The definitive guide to women's reproductive health from conception to old age. Obstetrics and Gynaecology: an evidence-based guide is the ideal resource for anyone working in the field of women's health, including medical students, junior doctors, midwives, nurses and general practitioners. 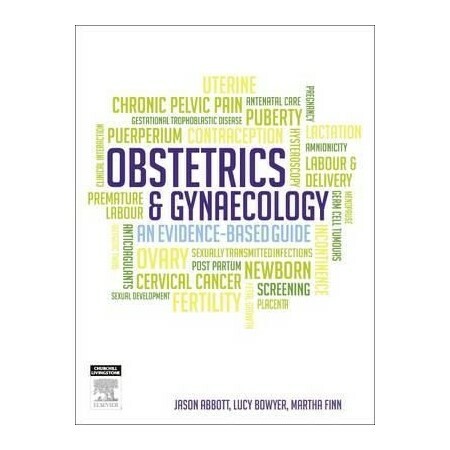 Expertly written and packed with the most relevant, up-to date evidence; this obstetrics and gynaecology textbook covers all aspects of women's health from conception to puberty and from pregnancy to old age. Obstetrics and Gynaecology: an evidence-based guide addresses common areas of everyday practice. It details how to take an obstetric or gynaecological history, manage abnormal uterine bleeding and provide antenatal care. In addition, it highlights less common but equally important issues in women's health, such as gynaecological malignancies and managing multiple pregnancies. Written by an editorial team comprising an obstetrician, gynaecologist and sonographer, the content in this obstetrics and gynaecology textbook is balanced and chronologically arranged from from birth to end of life. Provides guidance in applying evidence to medical care. Obstetrics and gynaecology OSCEs with a detailed answer guide. Multiple-choice questions aligned to chapters and practice OSCEs featuring scenario, suggested history, examination and management.